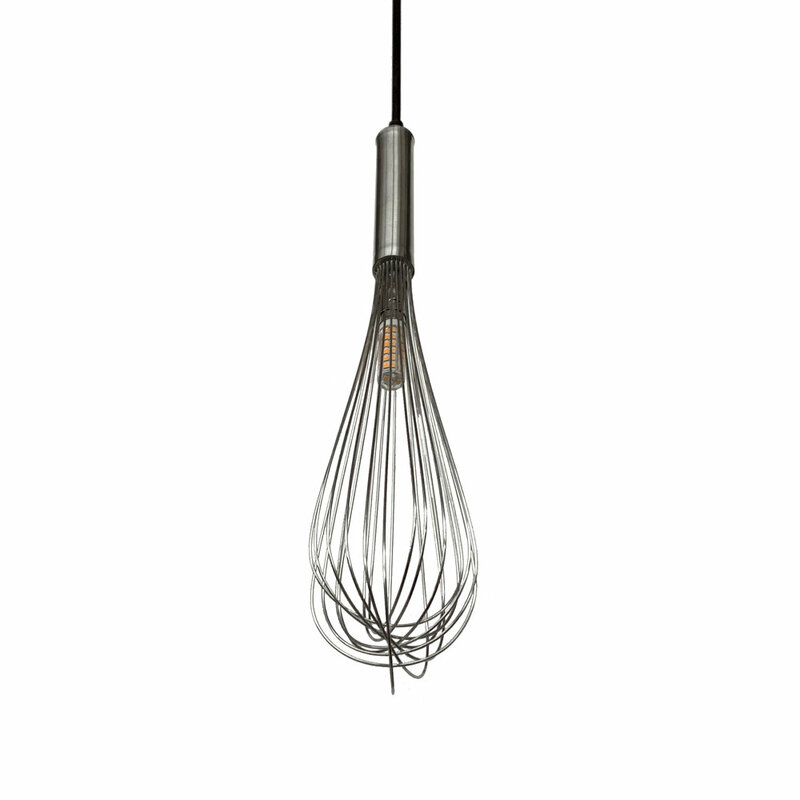 This modern pendant features a repurposed powder coated hand whisk. A perfect addition for any bakery, chocolatier, or home kitchen. Other sizes may be available. Please contact us for additional sizes. All pendants are made to order and sent to a powder coating company for painting. Please allow 2-3 weeks for delivery.